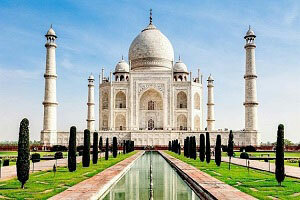 South India Tours and Travels welcomes you to experience this wonderful country. 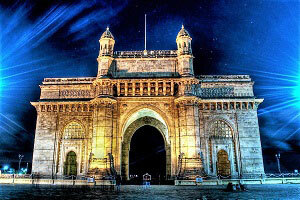 India Tour starts by your arrival in Mumbai, Gateway of India. Have a quick glimpses of this Metropolitan City. Moving on to that state of Maharashtra leads to Ajanta & Ellora Caves monuments in Aurangabad. Enjoy the beach tour in Goa. Karnataka welcomes you to experience the majestic Chalukya & Hoysala architectural kingdoms in Hampi. Aihole, Pattadakal and Badami are on par with Hampi with attractions galore. Experience the rich heritage tour in Mysore. Have an adventure forest safari tour at Bandipur. Take a long stride to Ooty, the famous hill station in the Western Ghats. Start your drive to ‘God’s own country’ – Kerala, move on to the renowned backwaters of Kerala namely Kumarakom and Alleppey. Explore the wildlife activities in Thekkady. Tamil Nadu Welcomes you for Madurai Cultural Tour, the city is one of the continuously inhabited cities in the world. Chettinad, which offers you a village tour. You will now drive to the Central zone region of Tamil Nadu, Tiruchirapalli, known as Rock fort City. Have a divine trip in this city. Continue your spiritual journey to another Tempe city named Kumbakonam. Your next stop will be at a French city, Pondicherry. Mahabalipuram, which is famous for its UNESCO world heritage monuments. Your India Tour ends in the Capital City of Tamil Nadu named Chennai. Mumbai is the city of dreams and hardened workers, starlets and gangsters, creative minds and servants, beggars and billionaires and more different people than you can imagine. Ask any Mumbaikar, and they'll tell you that they can't imagine being in another city. They are true indeed! Once you belong to Mumbai, you cannot belong anywhere!. Start Exploring Mumbai Metropolitan City Tour by visiting Siddhivinayak Temple is dedicated to Lord Ganesh and the temple was originally built by Laxman Vithu and Deubai Patil on November 1801 AD. The old temple had an ancient architectural style, consisting of a hall, a sanctum sanctorum, some free open space, the temple's administrative office to the right and a water tank in the front. It is one of the most beloved temples among Mumbai people. Prince of Wales Museum, is one of the premier art and history museums situated on the southern tip of Mumbai. It was built to honor and commemorate the visit of King George V to India. In the morning, Get set for Ellora Cave Temple Tour. Ellora Caves are ancient historical caves locally known as 'Verul Leni'. They were designated a UNESCO World Heritage Site in 1983. The Ellora Caves are an impressive complex of Buddhist, Hindu and Jain Cave temples. The caves have a slightly less dramatic setting than those at Ajanta, but more exquisite sculptures. The cave complex comprises of 34 caves that were hewn out of solid rocks of the Charanandri hills. The Ellora complex includes 12 Buddhist, 17 Hindu and 5 Jain Caves. The coexistence of structures from three different religions serves as a splendid visual representation of the prevalent religious tolerance of India. Visiting Karnataka remains incomplete without a trip to these UNESCO village. Hampi is an extremely significant place in terms of history and architecture. The first settlement in Hampi dates back to 1st century AD and a number of Buddhist sites belonging to that time have been found nearby. The seat of the Vijayanagara Empire was established by Saint Vidyaranya in 1336 AD with the help of two of his disciples, Hakka Raya and Bukka Raya. The kingdom flourished under the rule of Emperor Krishnadevaraya and stretched over the states of Karnataka, Andhra Pradesh and Maharashtra. Travel to have an Adventure Trip in Bandipur. Located on the trijunction of Tamil Nadu, Karnataka and Kerala, Bandipur National Park (and Tiger Reserve) is one of the wilderness areas in the country. It is the places where you can sight the extint tiger species easily. Since it comes under Nilgiri Biosphere Reserve, it is a well protected jungles of the state. Stay for atleast 2 nights in the available resorts will surely bring wild experience. Safaris are arranged by the resorts and carried out by Karanataka forest deparment in the mornings and in the afternoons. Overnight stay in Bandipur. This day you will be transferred to Chennai International Airport for your flight back home!